South Africa’s favourite bubblegum is at it again! After sending the nation on a hunt to find 132 new Did You Know? facts, Chappies bubblegum is calling all South Africans to find the fun. A new hunt for the ‘golden wrapper’ is on! Win a R1000 instant cash when you find the winning Did You Know? wrapper with any Chappies bubblegum product available in the following fruity flavours: ‘Assorted Fruit’, ‘Watermelon’, ‘Spearmint’, ‘Grape’ and ‘Cool Cherry’. 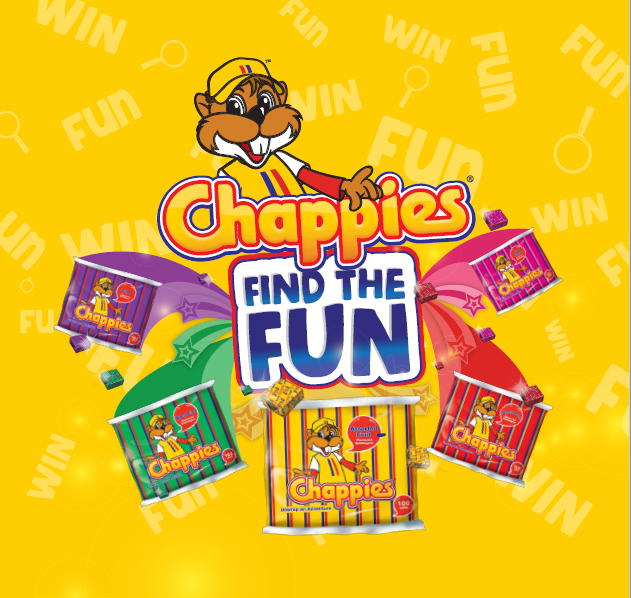 With Chappies hiding 50 ‘golden wrappers’, you can find the wrapper by chewing more! You could be one of 50 lucky winners who scores the golden wrapper! Find the fun with the number one bubblegum Chappies, an iconic brand that is well-known for its delicious fruity flavours, the beloved Did You Know? facts and the bubble-blowing fun.